Another Trollope novel! Another terrible cover! My Facebook Trollope group is hosting a read-along of Kept in the Dark, another of Trollope's novellas. As I had an unread copy on the shelves, and it was quite short, I thought this was as good a time as any participate -- and I was hopeful that it wouldn't be nearly as dire as Jude the Obscure. Published in 1882 shortly before his death, it is the story of a young woman named Cecilia Holt and the conflict that arises when her new husband discovers that she was previously engaged to another man. 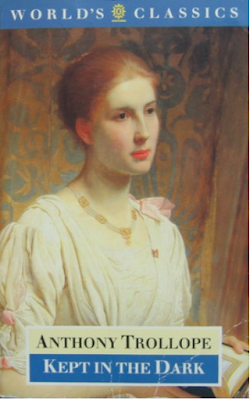 So, young Cecilia is first engaged to Sir Francis Geraldine, a man nearly twice her age. He is the uncle of her friend, whose father is the local vicar (having read Jane Austen, I immediately recognized the pattern -- older brother gets the title, second son often joins the church). Cecilia and Sir Francis are much thrown together when she visits her friend, and as Cecilia is beautiful and has some money, and Sir Francis is a baronet, it is no surprise when an engagement follows. However, as the wedding date draws closer, she has doubts about his character and breaks off the engagement. Sir Francis has a title, but he is no gentlemen, and is in fact a gambler and something of a scoundrel. His pride is hurt after Cecilia throws him over, so starts to spread around the story that he, in fact, jilted her. Cecilia does not care to dignify this rumor, and simply leaves Essex for the continent until it all blows over. After about a year, she meets George Western, another older man, who has no title but does have a good character. One thing leads to another and Mr. Western confesses to her that he himself had been jilted. Naturally this would have been the obvious time for Cecilia to reveal her previous engagement, but Mr. Western says his fiancee left him for a younger man -- Sir Francis' cousin, Captain Geraldine. Gotta love those amazing coincidences in Victorian literature. Eventually, Cecilia accepts a proposal from Mr. Western, but never reveals her previous engagement, even after they marry. She just keeps putting it off for a better time, which never arises -- until Sir Francis turns up like a bad penny. Of course things get worse from there. Mr. Western begins to imagine all kinds of terrible scenarios, and his jealousy gets the better of him. I'm not saying Cecilia is blameless -- it would have been a lot easier if she'd told him before she got engaged (then of course there would be no story). But I could understand how it would be harder and harder to reveal this to her fiancee. Also, Western's overreaction is way over the top and I really wanted to give him a good talking-to. Based on this book, I'm not quite sure if Trollope supported women's rights or not.. Overall, I did enjoy it, and there are some interesting characters -- Sir Francis is an excellent villain, and Cecilia has a frenemy named Francesca Altifiorla who is really self-centered and manipulative. Given Trollope's penchant for descriptive character names, I suspected that "Altifiorla" was Italian for "old flower," but alas, it is not. Still, an enjoyable quick read, just over 200 pages. Though it's one of Trollope's lesser works, it would be a good introduction for someone who isn't ready to tackle one of his 800 page doorstoppers. And I've now completed thirty novels by Trollope -- only seventeen left to go! Surely no Trollope novel could be entirely depressing! :) This sounds like a fun one. Oh my, the absurdity of how middle class women were supposed to behave in the Victorian Era! I think her omission could well have been considered quite serious, though certainly Trollope played it up for the novel. 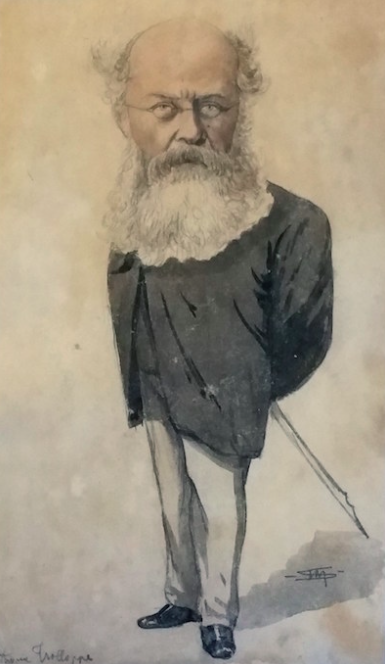 I don't know if Trollope could be considered a feminist but I do think that in many of the books of his that I have read he does have a real sympathy for how they are squeezed by society to behave in a particular way that he found absurd. Only 17 left to go! AMAZING! I have to finish the Palliser series still and then its onward to the stand-alones! A few of his shorter works left me underwhelmed. I've found something to love about each and every one of his longer works. And I've been reading Trollope for almost ten years -- I just read a couple the first few years but after that I got really hooked and have averaged about three or four a year since then. Some of them are quite short so it isn't difficult. I'll be sad when I'm finished them all -- I guess I'll have to start from the beginning and read them all over again! I had never heard of Trollope before, but his works sound interesting. I'll have to check him out! 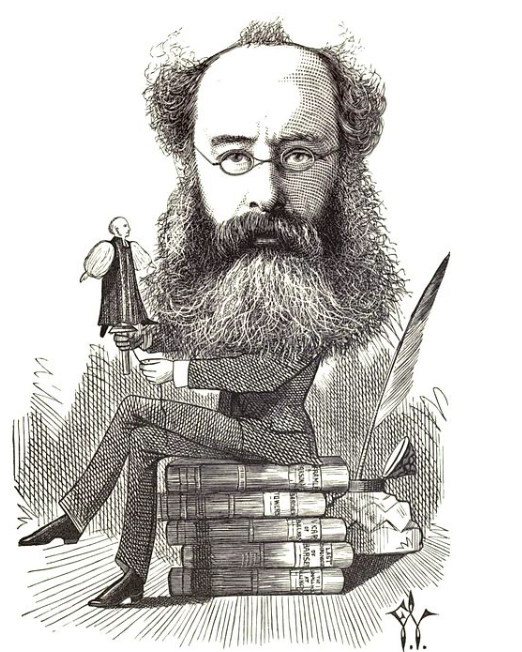 Trollope is WONDERFUL. Some of his most popular books are the six that make up the Chronicles of Barsetshire. It's a great place to start but he wrote many other wonderful books -- I think my favorite is The Way We Live Now. Ah, good old Victorian patriarchal prudery. I wonder if Mr. Western's terrible reaction had something to do with the relative intimacy of engagement during the Victorian era (as opposed to plain ol' courting). I remember reading a little while ago that engaged couples didn't always have to have chaperones, and that up to 1/3 of pregnancies were apparently conceived more than 9 months before the wedding. Of course, that doesn't excuse the husband's (or society's) gross reaction to Cecilia's broken engagement -- just adds a little context to the mores of the time period, I guess. You're really brave to read the lesser known Trollope, which can be pretty good or meh. Pretty good were The Three Clerks (poor Undy), The Claverings (poor Hermione)and He Knew He Was Right (poor Lou). Meh were Orley Farm and Miss Mackenzie Last August I found The Belton Estate so lame that I've not read the Palliser novels that are sitting, accusingly, on the TBR shelf. Oh, I forgot Lady Anna earlier this year, which I bailed out of 100 pages in. I thought I just could not handle another 400 pages of Miss fending off a suitor. I handled that in the Barchester novels, but no more. I'm not gonna live forever.